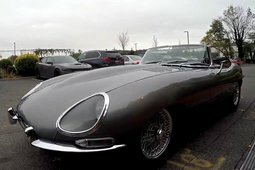 This Jaguar E-type Series 1 Convertible was built in 1966 and delivered to the first owner in 1967 by Jaguar Cars New York, USA. The car has the matching numbers 4235cc 6-cylinder engine that is linked to the manual 4-speed gearbox. 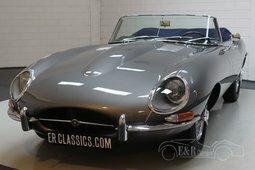 The Jaguar E-type was completely restored in our workshop in 2018-2019 and is therefore in absolute top condition. 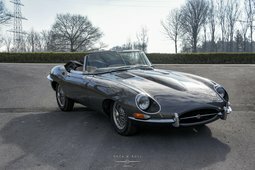 This Jaguar has Opalescent Gun Metal Grey paint and the interior has blue leather upholstery, a beautiful combination. The car has a dark blue Sonnenland soft top. 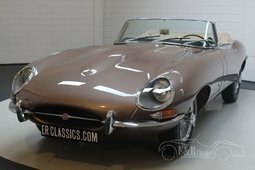 Are you looking for a completely restored Jaguar E-type Series 1 Convertible in absolute top condition, please contact us about this car.